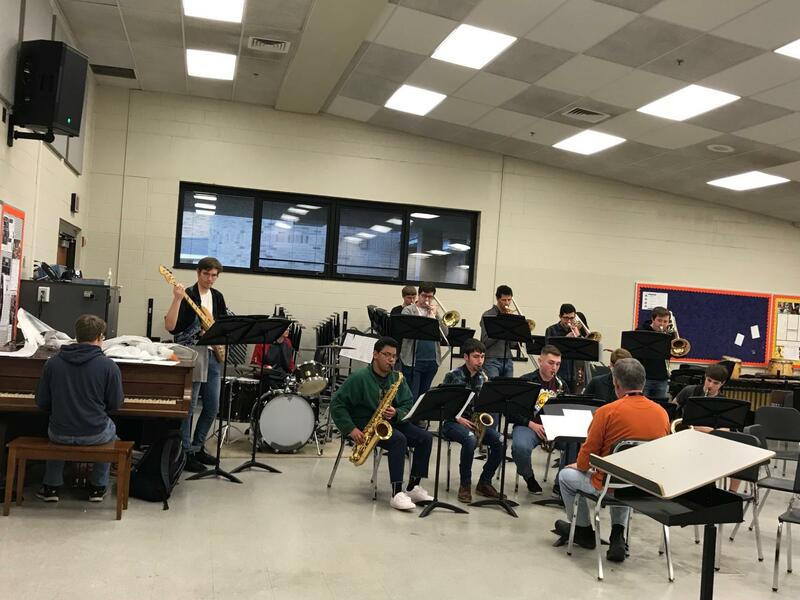 La Porte High School hosted the ISSMA District Jazz competition Friday, March 1st and Saturday, March 2nd. Fourteen bands performed Saturday, and nine choirs performed Sunday. “The flow of performing groups in and out of the PAC went much more smoothly compared to the old auditorium,” Mickey Stisher, music director, said. Consistent with other events held in the PAC recently, improvements in acoustics and facility design help an important role in the musicality and quality of the performances. “The judges, guest directors, and guest students all complimented the facility and our hosting of the competition,” Snyder said. The contest provided an opportunity for students from other organizations to help out alongside the involved band students. “The Jazz Contest was staffed by the Technical Theatre students and band students. The entire event was run smoothly and professionally,” Richard Snyder, PAC Director, said. LPHS bands performed well at the competition, demonstrating the continued success of the LPHS band programs. “Jazz Band performed well, as did the Lab Band, as both received Gold Ratings with Distinction. I am disappointed that the Jazz Band did not advance to the ISSMA State Jazz Finals, but also know we all agreed that there were some minor problems in our performance. The bands should be proud of how they performed,” Stisher said. The next event that will feature LPHS’ jazz bands will be JazzFest on Friday, May 3rd.